The Tesla Model S is the trendiest car in America. It’s also just a fine piece of American engineering. What do you need to know before you buy a Tesla Model S? Don’t worry, we’ll tell you everything right here in the Ultimate Buyer’s Guide. 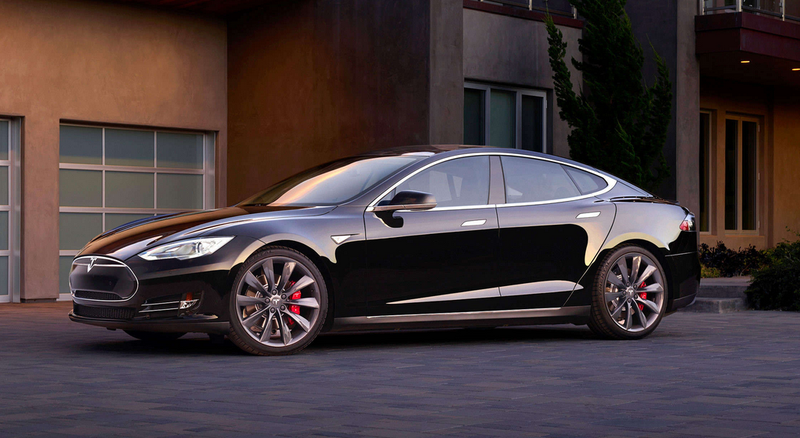 The Tesla Model S needs no introduction. It’s Silicon Valley’s first chapter into the “Car of The Future.” It’s faster, more efficient, and more luxurious than 99 percent of cars out there, and yet it was built by a company with barely a decade of experience. It’s an incredible story about a small startup building a giant-slaying automobile that’s setting the foundation for cars of the future. It’s also one of the few Silicon Valley creations that lives up to its own hype, although Telsa Model S ownership is not perfect. If we’re looking at this from a purely automotive class perspective it is a mid-to-full-size luxury car that should compete with vehicles like the Audi A8 and Mercedes S-Class. But let’s face facts. The Model S is so much the “it” car to have for people who care about their street cred it probably gets cross-shopped with Prii and 911s and Range Rovers. The only cars as fast as the Tesla Model S in a straight line are exotics like the Nissan GT-R and Porsche 911 Turbo. This is a family car that will beat a Hellcat Challenger in a quarter-mile. The difference is that it takes no effort in a Tesla Model S to hit “ludicrous” speeds. It’s eerie how quiet and effortless the Model S is, especially in P90D mode. It just goes and you’re left trying to pull your teeth out of the back of your throat at the next stoplight. This feeling also extends to ride and handling. While not the cushiest car ever built, the ride is aided by an air suspension that adjusts to keep you in the optimal setting for comfort. And then you go around a turn and the car tightens and since you’re basically sitting on a giant battery the car’s slug-height center of gravity keeps the car almost perfectly flat. Yes, it’s a heavy car, but it’s heavy in the right place and so long as the computer and tires can keep the wheels from spinning into smokey dust (something the car gets better at seemingly with each update) you can keep up with other hotted up sedans like the Audi S7 or BMW M5 in the turns. And those are just the basic driving experiences. There’s a giant screen that controls all the systems on the car and will help you get from charger to charger without running out, which diminishes any thought of range anxiety. This does take getting used to, but the controls are intuitive and the screen is fast and straightforward and, like everything else on the car, is constantly being improved. Plus, you might wake up one morning and find out your car drives itself. That’s what it’s like to own a Tesla. The Tesla model S has seen many revisions since its initial release in 2012. The first Model S vehicles sold in 2012 were offered with either 40, 60 or 85 kWh battery packs. These three batteries promised 160, 208 and 265 miles of range, respectively. They were all two-wheel drive, and the trim levels were simply named after the size of the battery, in kilowatt hours. A higher horsepower “performance” P85 model was also available and achieved 0-60 springs in the low fours. After about a year, the 40kWh battery pack was nixed, leaving the 60kWh pack as the base battery. In 2014, Tesla’s illustrious captain, Elon Musk, announced all-wheel drive versions of the Model S, called “D” models, for “dual motor.” By 2015, the 60kWh pack was chucked out and replaced by a 70kWh pack. Now, the only models are either two-wheel drive or all-wheel drive versions of the Model S 70, 85 or 90. But the cool thing isn’t just what has changed about the model S, but also how it has changed. Unlike most conventional cars, which roll out new features when the new model year arrives, Tesla’s model S is able to receive updates “over the air,” meaning you can wake up one morning and have new cool features in your car. In fact, there’s an enormous software and firmware change log describing all “over the air” changes since day one. The Model S’s latest software update uses the cameras and sensors on all late 2014 and up Model Ss to enable a feature called Autopilot. This system allows the car to stay in a lane without driver input, switch lanes, parallel park and brake to avoid an accident. The powertrain, which consists of one or two motors, a battery, inverters and gear boxes, is liquid cooled. The battery packs are either 70, 85 or 95 kWh microprocessor-controlled units filled with 18650 lithium ion cells similar to those found in laptops. All Model Ss have a range of over 200 miles. While that might not sound like much for a road trip, the Model S has software built in that will help the driver get to the nearest free supercharging station well below the battery is depleted. Yes, it’s free. Model S owners do not have to pay for electricity at Tesla’s Superchargers. Range numbers are not intuitive. The 90D and 85D appear to have the same EPA-rated range and mileage, but it’s likely that Tesla simply hasn’t certified the 90, and instead used the 85 as a surrogate. All-wheel drive actually improves range and efficiency. That is because, unlike conventional all-wheel drive systems in which the front and rear axles are connected via shafts, the front and rear motors in the Model S are connected only electronically. This means that not only is torque transfer between axles lightning quick, but drivetrain losses found in a conventional vehicle are much lower in the Model S.
But what really allows the all-wheel drive Model S to out-do its two-wheel drive counterpart in range is the ability to drive the vehicle with the engine that is at a more efficient operating point. The Model S’s suspension is double wishbone up front and multi-link in the back with coil springs all the way around. Steering is electric, and brakes are 14-inchers up front and 14.4-inch discs in the back. That’s right: the front brakes are smaller than the rears; you can thank the Model S’s low center of mass and front/rear weight distribution for that. The Model S doesn’t have conventional “trim levels.” You start out with a base car, and as you choose different battery sizes and motor options, the badge changes to a new “trim.” The nomenclature is pretty simple: the number stands for the battery’s capacity in Kilowatt-hours, “D” stands for “dual motor,” and “P” stands for performance. So, a Model S P85D is a performance-oriented Model S with an 85 kWh battery pack and two motors, meaning it’s all-wheel drive. A 70 is just a single motor, two-wheel drive Model S with a 70 kWh battery pack. 70: Starts at $70,000 (minus $7,500 federal tax credit). Notable standard features: 315 horsepower rear-mounted AC induction motor, 70kWh battery pack, 19”aluminum wheels, all-season 245mm tires, xenon automatic headlights, LED daytime running lights, 10kW on-board charger, power heated synthetic leather seats with memory, 200 watt 7-speaker audio system, 17-inch capacitive touchscreen in-car communications system with Bluetooth and Navigation, keyless entry, deployable door handles, high definition backup camera, driver’s seat sensor to start and stop vehicle, power tilt/telescoping steering column, power windows with one-touch up and down, front trunk, automatic dual zone climate control, forward looking camera, forward looking radar, 360 degree sonar sensors, blind spot warning, automatic emergency braking, lane departure warning, eight airbags, speed limit display. Notable options: Autopilot Convenience Features: automatic lane keeping, lane changing assist, adaptive cruise control, automatic parallel parking ($2,500); Premium Interior and Lighting Package: Power liftgate, nappa leather armrests and dashboard, alcantara headliner, fog lights, unique interior lighting ($3,000); Adaptive Air Suspension ($2,500); Ultra High Fidelity Sound Package: 12-speaker audio system, 8” subwoofer ($2,500); Subzero Weather Package: rear seat heaters, wiper defrosters, washer nozzle heaters, heated steering wheel ($1,000); Rear facing seats ($3,000); Glass Panoramic Roof ($1,500); Unique 19” alloy wheels ($2,500); 21” alloy wheels ($4,500); Black leather seats ($1,750); “Next Generation” leather sports seats ($3,500). 70D: All-wheel, dual motor version of the 70 trim. Starts at $75,000 (minus $7,500 federal tax credit). Same options as 70. 85: Starts at $80,000 (+$7,500 federal tax credit). Notable standard features over 70: 85kWh battery pack, 373 hp rear motor. Same options as 70 trim. 90: A Model S 85 with the $3000 “Range Upgrade” option chosen to increase battery size to 90 kWh. Starts at $83,000. 85D: All-wheel drive, dual motor version of the 85 trim. Starts at $85,000 (minus $7,500 federal tax credit). 90D: A Model S 85D with the $3000 “Range Upgrade” option chosen to increase battery size to 90 kWh. Starts at $88,000. P90D: A Model S P85D with the $3000 “Range Upgrade” option chosen to increase battery size to 90 kWh. Starts at $108,000. Same options as P85D. There’s no bad Tesla to buy, but there is a Tesla with Ludicrous Mode and it’s Ludicrously expensive for a sedan this size. But it’s not a “sedan this size.” It’s an electric rocketshop that feels like it’s from the future even if it’s just using technology we’ve had for a while and packaging it better. Why buy just a little bit of the future when you can buy the whole thing and embarrass dudes in Camaros? Motors: 382 hp, 2 x 259 hp, 259 hp front & 503 hp rear.